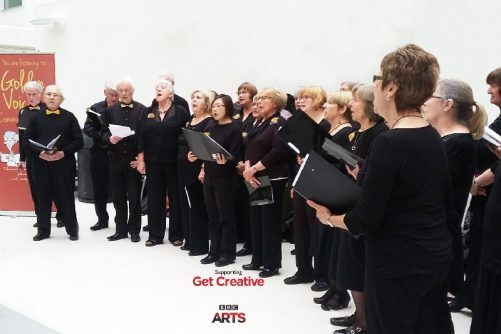 Band on the Wall are proud to support Golden Voices, Manchester’s most welcoming choir. Golden Voices is open to anyone aged 50+ and no previous singing experience is required! Prospective new members are welcome to pop in and join in a rehearsal before signing up as a member. No booking required, just turn up and take part. As well as enjoying a new activity and meeting new friends, you’ll also be improving your health. Singing has been scientifically proven to improve your breathing, your posture and make you feel happier.